The Folsom ImagePRO HD is a powerful all-in-one signal processor that accepts a wide range of video input signals and processes them into a various signal formats to meet a number of applications. 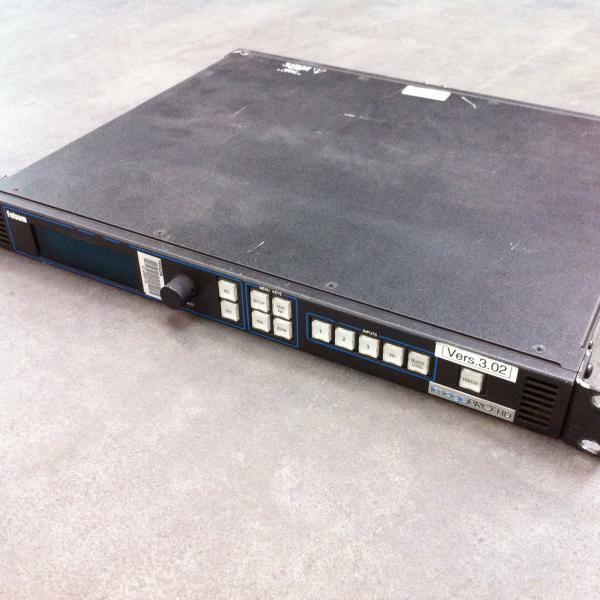 This device performs as a scan converter, switcher and transcoder in one base unit. 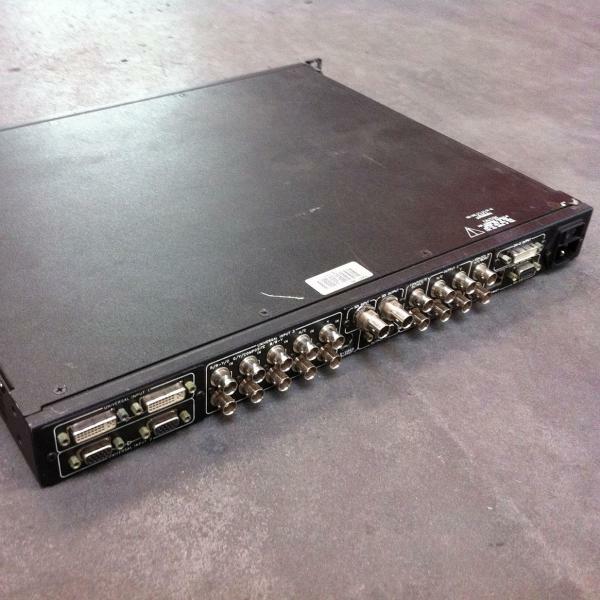 This model features DVI and SDI inputs and outputs. This device processes high resolution signals such as RGBHV, RGBS, YUV, HDTV and RGB all the while accepting standard definition. NTSC, PAL and SECAM television standards are processed and/or converted. Signals originating in film are processed using 3:2 pulldown for NTSC and 2:2 pulldown for PAL. Control protocols such as RS-232/485 plus Ethernet allow the user choices for remote processing control. Although inputs are on 5-BNCs or an HD-15, standard video such as composite or Y/C can be input as well as high resolution.